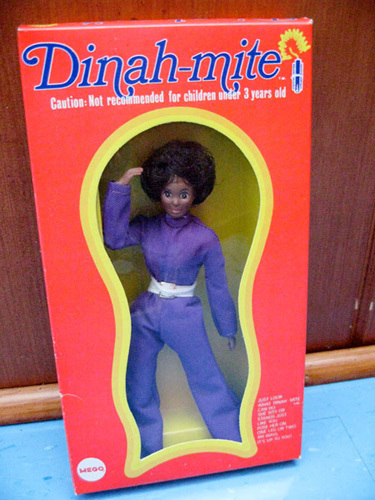 Although she also came in white this black version, Mego’s bendable answer to Barbie, rode the wave of 70′s blaxploitation heroines like Friday Foster, Cleopatra Jones, Foxy Brown, Christie Love and my fave, Velvet Smooth. I love when colloquialisms are bent into names: Dinah-miiiiite! !